Today on “Meet the Press,” NBC kicked off a weeklong special called Education Nation, a series of events and broadcasts about the state of U.S. public schools. 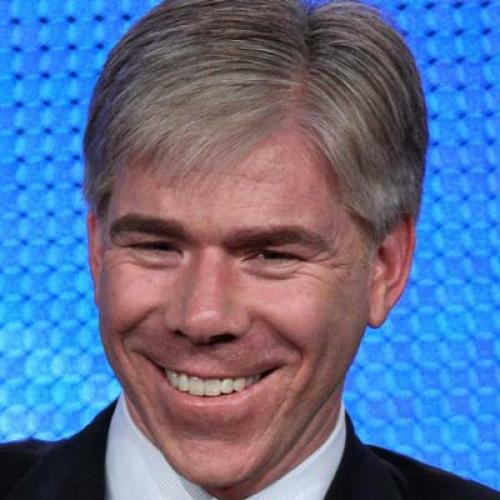 David Gregory’s guests were U.S. Secretary of Education Arne Duncan, D.C. Schools Chancellor Michelle Rhee, president of the American Federation of Teachers (AFT) Randi Weingarten, and head of Detroit schools Robert Bobb. But the real star of the show was Waiting for Superman, the much-hyped documentary about school reform that opens nationwide this week. Gregory started the program with a clip from the movie that shows how poorly we rank, education-wise, against other developed countries. And he closed the show with a discussion of what the average person, inspired by the film, can do to help our ailing schools. He himself had seen it and said he was moved as a parent. In between the documentary talk was some surface-level discussion of politics and policy: Race to the Top; the changes Rhee and Bobb have implemented in their districts; the battle between reformers and teachers’ unions over how to improve teacher quality; and Mayor Adrian Fenty’s recent loss in D.C., which many speculate will cost Rhee her job, too. (Rhee declined to say whether she’d be staying or going. Interestingly, Robert Bobb was spotted at the victory rally for Vincent Gray, Fenty’s opponent, prompting rumors he might be on the shortlist for Rhee’s job.) Rhee and Weingarten argued mildly about just how much of an impediment unions are to reform: Weingarten insisting that her members don’t want to see bad teachers in the system, Rhee pointing out that, when she recently fired numerous ineffective teachers, the local union affiliate filed suit. “You can’t fight us every step of the way,” Rhee said. On the one hand, it was heartening to see these issues finally discussed in the Sunday morning spotlight. On the other hand, it was dispiriting that it took the release of Waiting for Superman for NBC to dedicate serious air time to education. We really need to set aside a week to talk about schools, rather than talking about them all the time? Sure, it’s good that Waiting for Superman is prompting big media to question why our schools are so bad. (And I highly recommend that people see it.) But what took so long, will the coverage get more serious—and will it last? UPDATED: I watched a second Education Nation program on MSNBC, billed as a Teacher Town Hall in which educators could air their opinions about schools and Waiting for Superman, which at least one teacher called propaganda. There was some reasonable, even good discussion about hotbutton school reform issues, but, on the whole, the event was incredibly uncomfortable. There weren't policymakers to respond, either in support or in opposition, to the many, many opinions being offered, giving the event a cathartic feeling when it could have (and should have) been a more constructive dialogue. There was hissing from those who disagreed when one young teacher offered an opinion on how to weed out ineffective educators. And there was a teacher in the front row who was so excited to get to the microphone to talk about preserving tenure that host Brian Williams, who had adopted a weirdly jovial tone, said, "I think he's going to hurt me." Most troubling, though, in the context of NBC's special week of education coverage, there was the moment when Williams said that education is "sort of the space program" in the United States right now, thanks to all the attention it's receiving. Really? The space program? I don't see the similarities. Getting to the moon or Mars isn't a basic right in our democracy; receiving a quality education is. More than anything, Williams's flawed analogy underscores NBC's misguided approach to covering education.